Using our voice to access information has always been a part of science fiction. In November 2008, Google added voice search to Google mobile app as another alternative to find information online. Today, with powerful smartphones and cloud-based computing, science fiction is becoming a reality. The concept is hands free searching with the use of your voice only. Even with busy hands you can command your device to show you the information that you need. Simply saying “OK Google” automatically activates the search engine. Talking or typing in Google does the same thing when it comes to generating a SERP. A search engine results page (SERP) is the list of results that a search engine returns with in response to a specific word or phrase; yet, you aren’t making any type of organic choice. The concept is similar to the “I’m Feeling Lucky” button. The problem with Google voice search is that not everyone speaks English as his or her main language, so the accent might make it difficult to pursuit. I’ve seen Finnish people repeating their search phrases 3-4 times to OK Google and ending up typing their keywords anyway. Google noticed the problem and found a solution. Recently, Google added 30 new languages to voice search in order to encourage the world to use more of this feature. Google search has caught the attention of other gadget manufacturers to implement voice search on their products. Siri and Alexa are just a few of those examples. 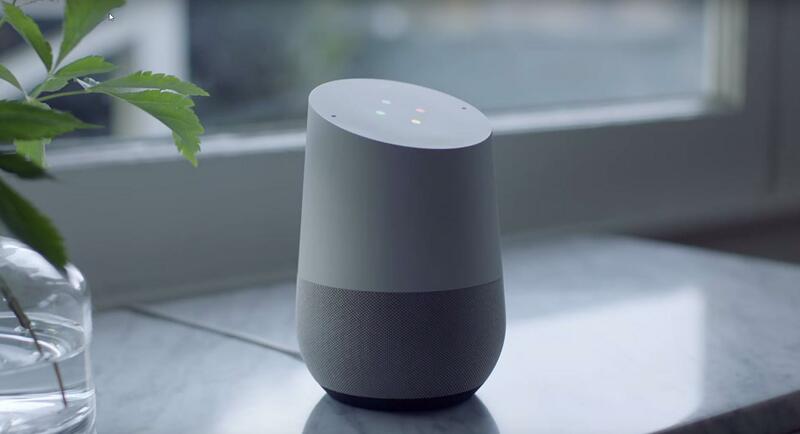 At the end of 2016, Google releases Google Home, a device that allows you to search for information, manage calendar, set reminders, etc. “It’s hard to say exactly how many search queries are voice-based, since Google doesn’t publish that exact information regularly. We do know that the general trend is rising, and soon, voice searches may represent the majority of total searches. According to Mary Meeker’ s Internet Trends report in 2016 , voice searches increased more than 35-fold between 2008 and 2016. According to Location World, more than 40 percent of adults used voice- based search on a daily basis in 2016. And predictions by ComScore estimate that more than 50 percent of searches will be voice-based by 2020 .” – Jason Demers, Forbes. OK, Google: Should I Focus on Voice Search? For business, we need to pay more attention to our SEO keyword selection. Strategy like long-tail keyword phrases &amp; investing in local SEO might be the key in winning SERPs For customers and users, we need to prepare for more changes in the future and adapt faster. We are still at the beginning of the voice search engine era. It’s not perfect, yet there are still gaps to fill in with this technology. Who knows if this will be the new trending/booming thing?